The Pursuit of Wholeness pays tribute to seminal avant-garde filmmaker Gregory Markopoulos, with rare 16mm screenings of two of Markopoulos’ most acclaimed films and an exclusive preview of film critic Georgia Korossi’s documentary Devotion, a film that gives precious testimony of the 2016 edition of Temenos, the quadrennial event of screenings of Markopoulos’ monumental Eniaios. Curated by Eleonora Pesci this programme especially focuses on the ongoing, profound bond between the filmmaker’s works and his Greek heritage. It is part of a larger film season, The Pursuit of Wholeness, a National Film & Television School film programme exploring the influences of ancient Greek mythology and archetypes on cinematic quests for sexual and gender identity. 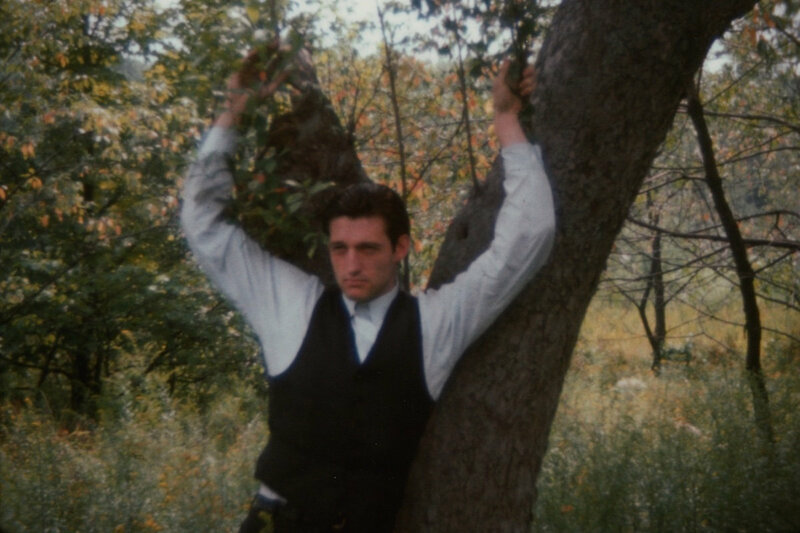 We're pleased to welcome Mark Webber – film curator and editor of Film As Film: The Collected Writings of Gregory J. Markopoulos – to introduce The Illiac Passion.